In the second of a new series looking at roof installation problems and failures, David Patrick, Marketing Director UK & Ireland at Redland looks at concerns around dry verges with mind to a British Standard just out this year. Early 2018 sees the introduction of a new British Standard (BS 8612) that concerns itself with dry-fix (mortar free) roofing components – specifically ridge, hip and verge products. There’ll be more details in due course, but basically and without giving the game away, BS 8612, in respect of dry-verge, seeks to address two problems commonly encountered with such systems. 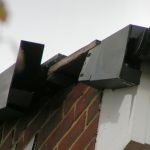 The first issue is the ability of a dry verge to withstand wind loads. Dry verges feature in BS 5534 as an acceptable means of fixing a roof tile at the verge of a roof, yet there was no means to see if any given dry verge was up to the job. 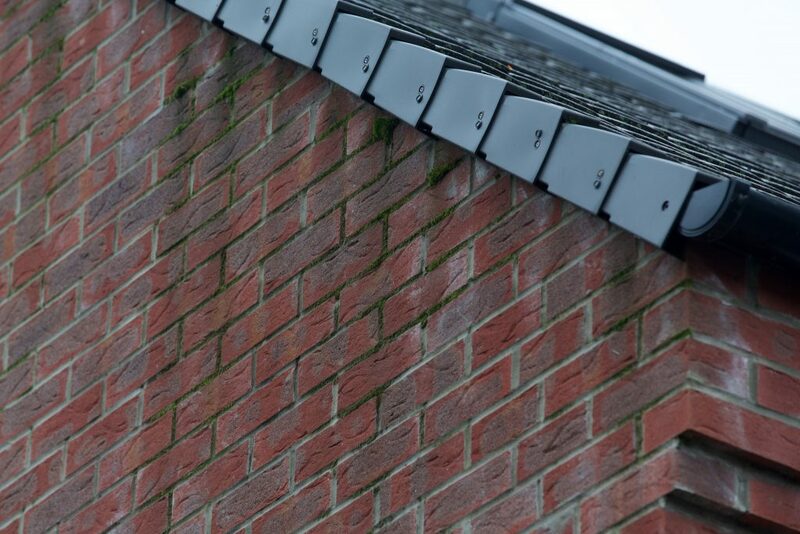 Consequently, and as the pictures below testify, some current dry verge installations fail under wind pressure. And that’s assuming they have been correctly installed according to the manufacturer’s fixing instructions. The sad fact is that, often, they’re not: increasing the verge’s vulnerability to pull off. The new standard includes tests to help determine the verge’s resistance to wind load while making it a requirement that manufacturers provide fixing instructions. A second common issue encountered with some dry verges is gable staining. This can be caused by incorrect installation, yet often occurs simply due to the product design itself. If a verge is unable to shed water effectively away from a gable wall, the result may be dirty rain water leaving unsightly streak marks down the wall – especially noticeable on rendered ones. The new standard endeavours to ensure verges are fit for purpose in this respect too. From now on, it will pay to check that the dry-fixed products being installed meet the standard and that they are complementary with the slates or tiles on the roof. It is important to get this right. Failures are costly and wasteful and distressing for the homeowner. Reputable manufacturers will be more-than-happy to provide technical information and advice around this subject to specifiers and installers. The experience of residents on a high-end housing development explain why the new British Standard 8612 for dry-fix products is so welcome. Buyers of houses on an estate built a few years ago were promised, “exceptionally well-designed family living space” in a “delightful new development”. At first glance, they seem to have got just that. Well-designed, well-spaced homes with neat gardens, neighbours who greet each other cheerily and families who meet for community gatherings on the village green. But there is one detail which is casting a shadow across this suburban ideal. Closer inspection of the gable walls of the houses reveal that every single one of them has black stains stretching down the wall from the verge. 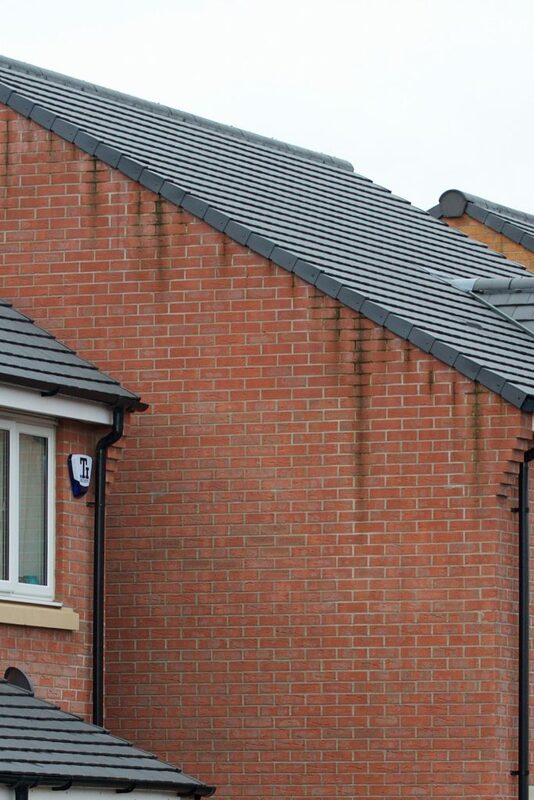 “When I first contacted the housebuilder’s customer care team to tell them that I had water running down my gable wall, they told me ‘that’s normal’,” says one resident who has been fighting for years to get the issue sorted. “But I knew that it wasn’t”. The unsightly stains on the walls are caused by dirty rainwater which has run off the side of the roof and down the walls. These stains are more conspicuous on yellow brick or cream-coloured rendered walls, both increasingly popular with developers. This shouldn’t happen. The dry verges – edging pieces that finish off the side of the roof – should be directing the water so that it doesn’t run onto the walls. It’s something that only happens on flat tiled roofs, as profiled tiles themselves steer rainwater away from the verge. Countering this problem is one of the features of the new BS 8612 Dry-fixed ridge, hip and verge systems for slating and tiling. Published in early 2018, one of its tests aims to ensure that dry verges are designed to shed water in the right way. The standard also introduces tests to ensure that the verges can withstand forces due to vertical and horizontal wind loads. The length and severity of the staining on the development varies. Those houses completed first have been marked the most. On some of the oldest houses, there are early signs of mortar degradation, although this process seems to be very slow and will take a long time to be impactful. In extremis, long term saturation of the gables could conceivably compromise the houses’ cavity wall insulation (CWI). Awareness of how penetrating damp can damage CWI – especially in west facing walls – is growing, and it can’t be taken for granted that dry verge design issues won’t exacerbate this. As it is, the current problem is primarily aesthetic; yet those who have paid hundreds of thousands of pounds for their homes feel entitled to pristine properties for their money. Residents have faced a challenge to get their verges replaced with effective products. It hasn’t been a simple matter to work out who is responsible. The NHBC – which provides warranties for most new homes in the UK – has visited the site to inspect the problem but in such cases, the approach is to seek remediation with the housebuilder within a ‘reasonable’ time frame first. It’s only when all other attempts to solve the problem have failed that it becomes a warranty issue. The first assumption in solving the mystery of the dry verges was that the roofing contractor hadn’t followed the manufacturer’s instructions when installing them. Harsh perhaps, but not unreasonable, as roofers may not always fix correctly in accordance with the verge manufacturers fixing instructions. However, when a technical team surveyed the verges, the installation was found to be correct. The next step for the housebuilder was to trial the next generation of dry verge on a roof. These verges have been designed to better channel the water away from the face of the wall, as the new British Standard mandates. One year on, the abutting wall remains pristine. 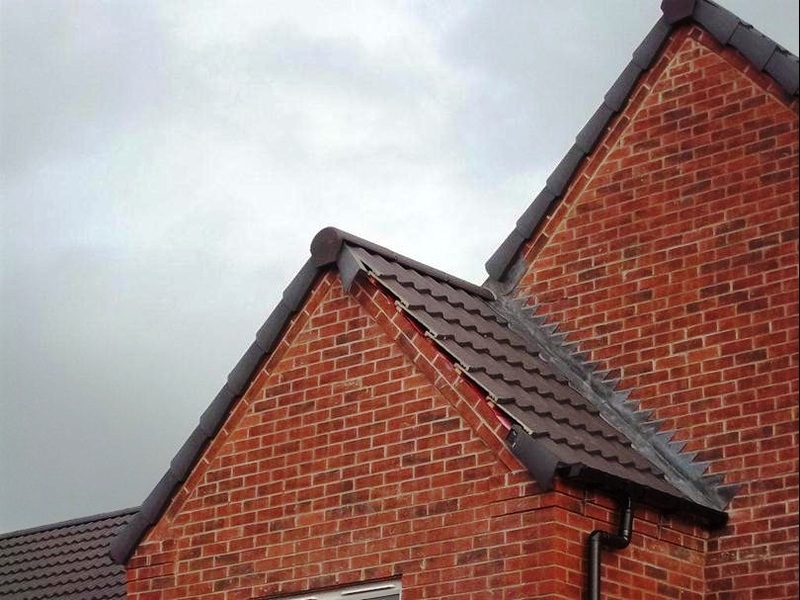 This indicates that not only that the BS 8612 standard is necessary to counter the issue, but also that it will help householders maintain the aesthetic of their new homes while protecting them from the problems associated with some pre-standard dry verges.